For participants in Goodwill’s Day Services programs, success is often measured in developing the confidence and independence needed to lead more productive and active lives in the community. In our Day Services Clubhouse model, our participants progress in these skills by exploring community resources, health and wellness activities, arts and enrichment classes, and community integration. 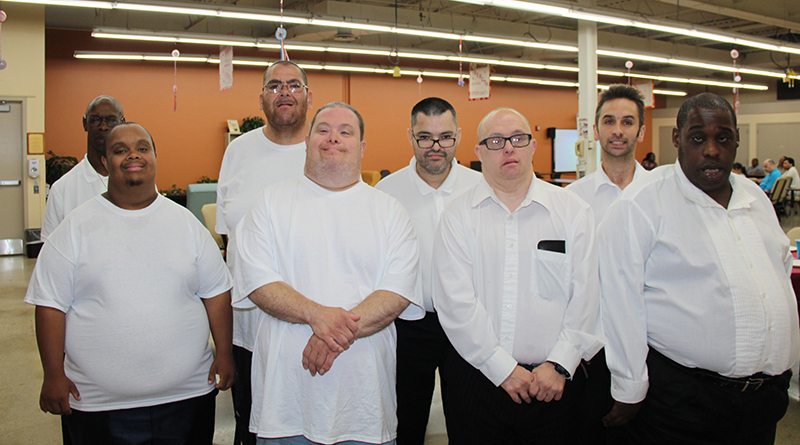 Many of these individuals hold part time jobs in the community on days they do not attend Goodwill programs and appreciate the personalized, engaging approach to building independent living, social and communication, and self-advocacy skills that Clubhouse provides. In addition to the assets they develop through programming provided by Day Services Recreation Assistants and Case Managers, participants also measure their successes in what they can give back to their peers and to the community; to this end, our program offers participant-chosen volunteer opportunities which allow our clients to showcase their dedication to others and the skills and interests they have developed. Recently, Clubhouse participants at the James O. Wright Center for Work and Training (JOW) shared their interest in volunteering their time and talents within Goodwill. Thus, our Men’s Club Bistro was born! Our Bistro is a restaurant experience in which our participants act as hosts, servers, and chefs with supervision from Day Services staff. Over the summer of 2018, participants trained with our staff at JOW and took trips into the community to interview and observe restaurant staff. 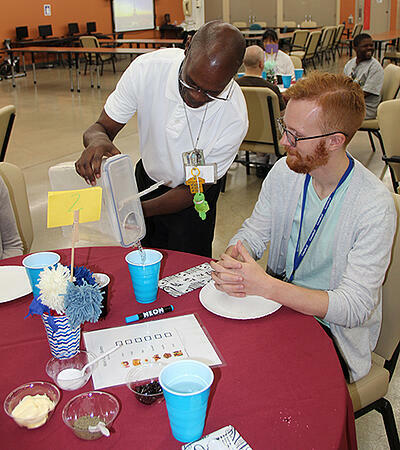 They learned the skills needed to successfully operate a meal service and, on August 24, they held their inaugural Bistro for Goodwill participants and employees. Operating almost completely independently, Clubhouse participants cooked, took orders, and served over 40 individuals over the course of the morning. They were extremely proud of their hard work and excellent service, and they received rave reviews from their customers. Participants saw further success and demonstrated mastery of their skills during our second Bistro event in September at which they served members of Goodwill’s Executive Team as well as participants from Day Services and Community Access. Members of Day Services staff are so pleased to showcase the talents of our participants, and they are extremely proud to volunteer their efforts to feeding their friends, coworkers, and customers. If you are interested in learning more about our Day Services programs or to make a reservation for our next Bistro event, please contact Nichole Uecker, JOW Day Services Program Manager, at (414) 847-4927 or Brandon Peters, JOW Day Services Activities Supervisor, at (414) 847-4871.